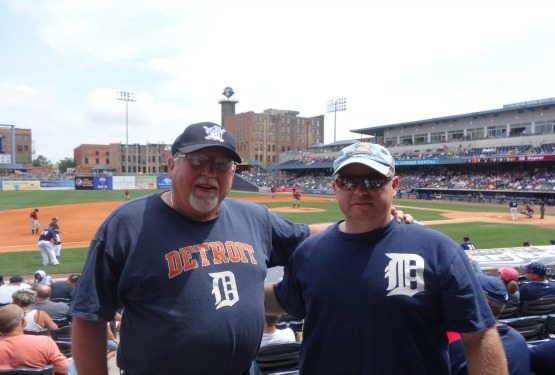 Fifth Third Field-Toledo, OH: Well, it’s been about seven years since our last trip to Toledo to see the Mud Hens, so it was about time we made it back to Mudville. We stayed in Findlay, so it was a fairly brief drive into Toledo. With any downtown stadium, parking can be tough, but we got there early enough to make it into the lot across the street. The weather was perfect, even though it had rained the night before. 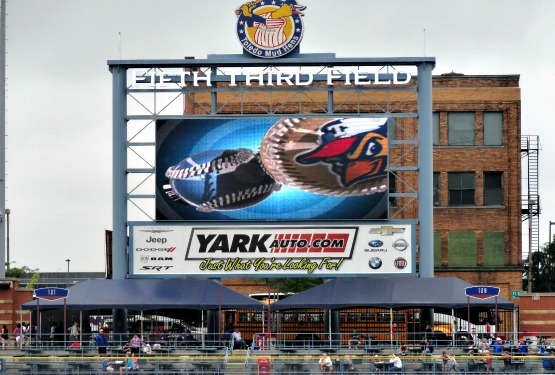 I was hoping for maybe a double-header, but the Hens finished five innings the night before to make it a complete game. We had plenty of time to get a beer and a dog for lunch, and get some shopping in. I was hoping to get Brian a Muddy mascot, but they didn’t have any for some reason. He was happy I picked him up a Ghostbusters night t-shirt, though, as he loves that movie. There was a pretty decent crowd, and, as many mid-week day games go, catered to kids and seniors. I really do love seeing kids at ball games, but when they’re brought in for groups, the counselors really need to set some rules for them. The kids next to us were in and out of their seats every inning, which can be distracting, and inconvenient for my elderly father. Before the game we also got to see Tigers’ prospect Robbie Ray getting some extra work in. He didn’t pitch on this day, but always cool to see a top prospect. 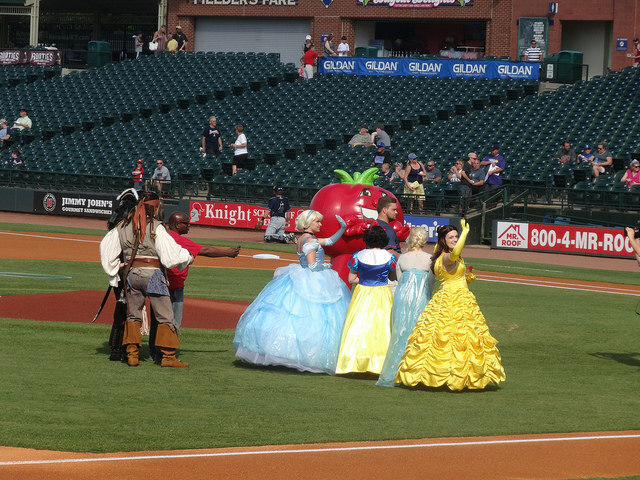 The mascot Muddy also paraded some kids from a youth group around the field. As the Mud Hens are a Tigers affiliate, I was pretty familiar with most of the players, and had seen many of them in West Michigan. 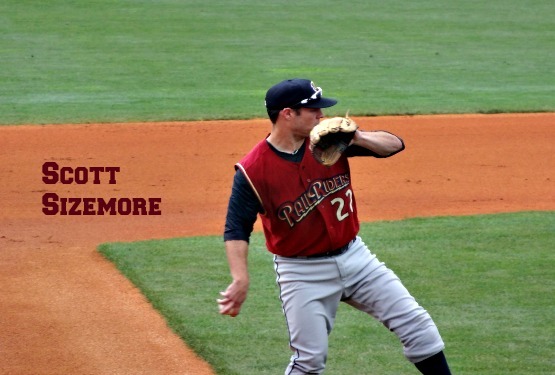 The RailRiders even had former Whitecap Scott Sizemore on their roster, who was one of my favorite players from the ‘Caps 2007 Midwest League championship team. 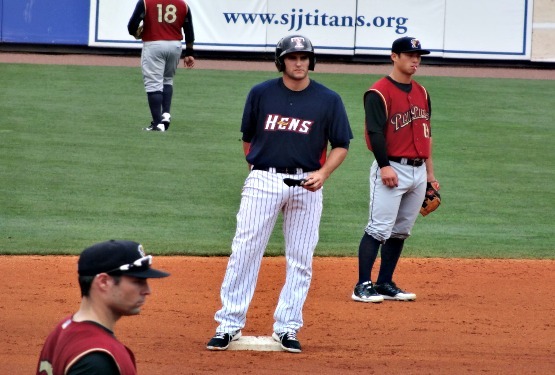 Others we’ve seen before included first baseman Jordon Lennerton, second baseman Brandon Douglas, third baseman Wade Gaynor, catcher James McCann, and Duane Below who was on the mound for Toledo. 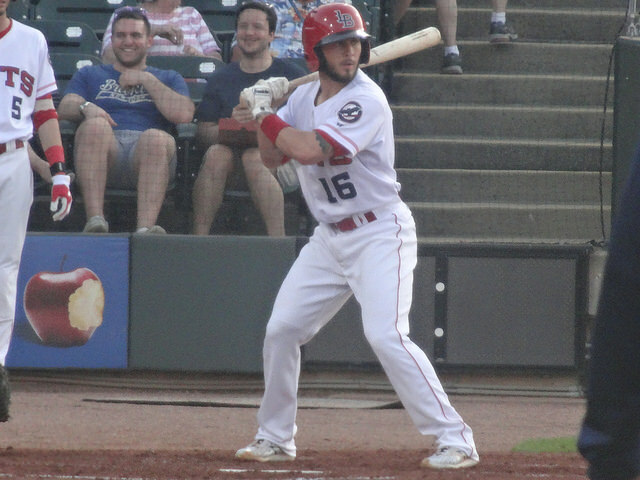 The game got off to a good start, with the Hens scoring twice in the first inning on Tyler Collins sacrifice fly, and a home run by Trevor Crowe. Gaynor hit an RBI double in the second inning to take a 3-0 lead. 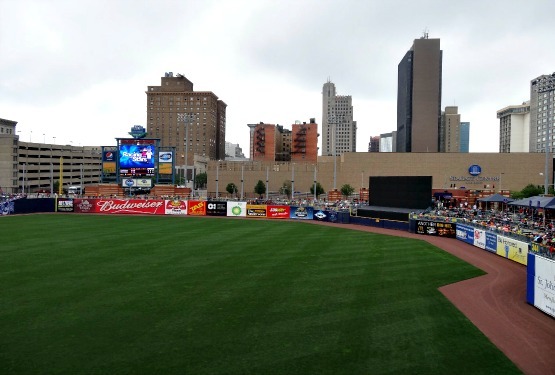 With the Mud Hens doing well, I took the opportunity to explore the ballpark a little bit more. I love the full wrap-around concourses, and used it to get some nice shots, including a panoramic of the stadium. The ‘Roost’ is a set of seats connected to a neighboring building, with a great view of the game. We couldn’t buy these unfortunately, because they are always saved for a group outing. The usher, or ‘guard’, at the stairs to the Roost let me sneak up there and take a few pics, even though he made it clear he wasn’t supposed to. 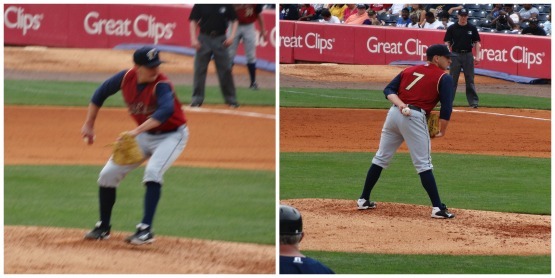 We were also able to see the RailRiders ambidextrous pitcher Pat Venditte for a few innings. He took the loss for Scranton/WB, though. 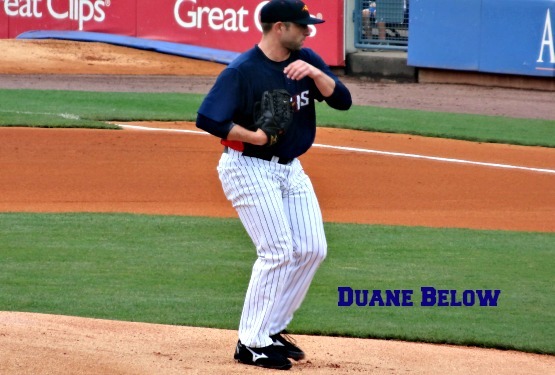 I remember watching him throw back in 2009 when he was playing for the Charleston River Dogs. 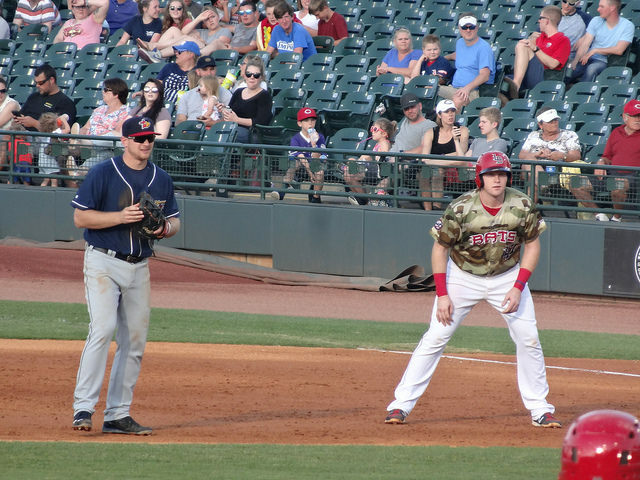 The Hens gave up three runs in the sixth inning, but got those three right back. Both teams ended up trading runs in the eighth inning, also. 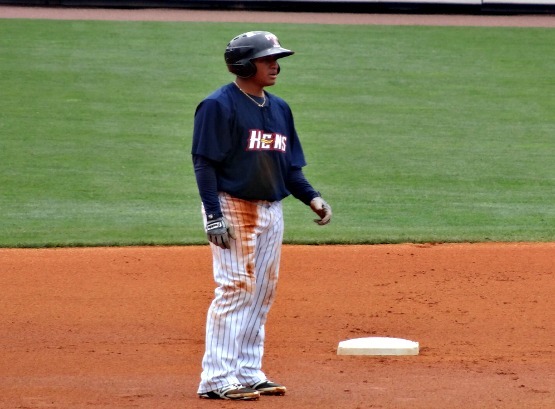 Ezequiel Carrera went 1-4 on the day with two runs scored and a stolen base, while Gaynor ended up 2-3. Below earned the win, pitching 6.2 innings, giving up the three runs, with one strike out and Kevin Whelan earned the save. Carrera also made a wicked catch in the outfield. 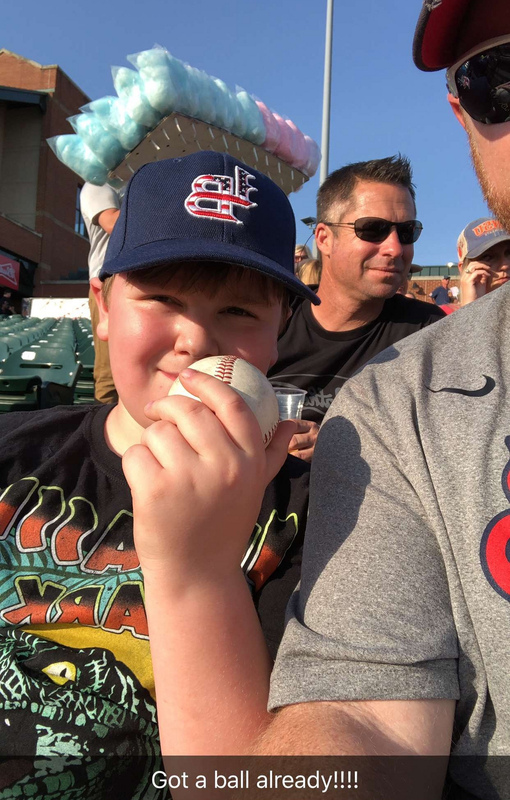 In all, this was just a great day watching a great game, and I got a game ball to top it all off. 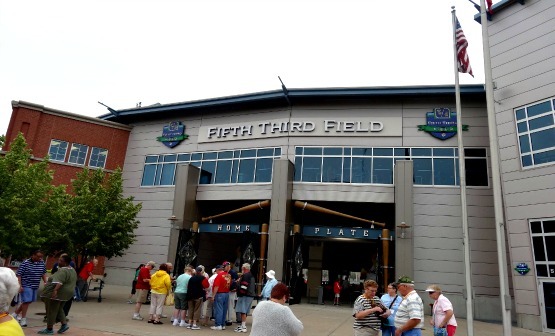 I really love Fifth Third Field, and need to make it there much more often. 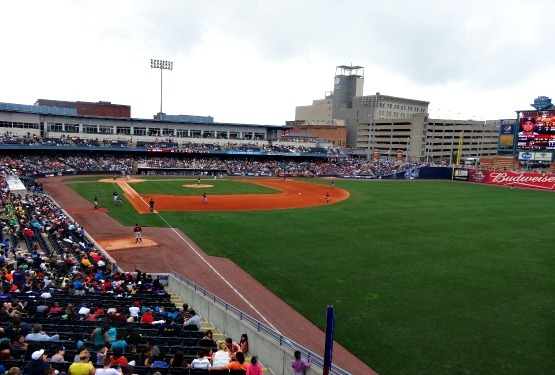 Final: Mud Hens 7, RailRiders 4. Fun Facts: The third game on our trip this coming season, will be a return to Toledo. 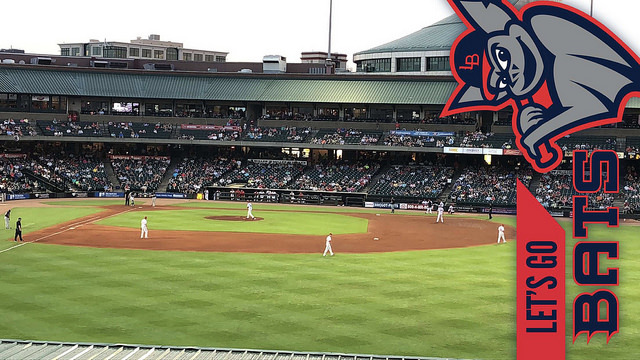 We last took in a Mud Hens game back in 2007, so we’re very much ready to enjoy more baseball at Fifth Third Field. 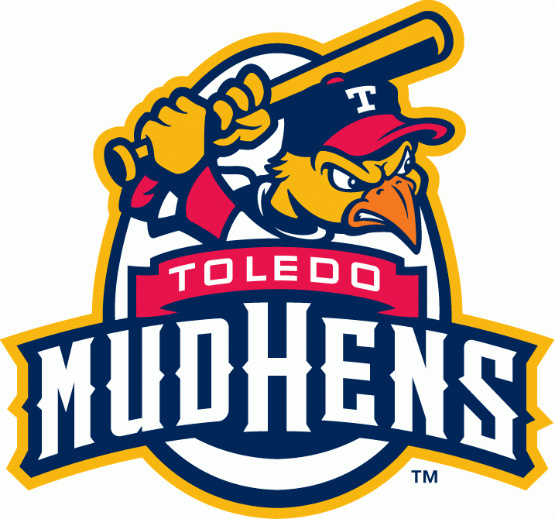 The Mud Hens have one of the best known minor league logos in history, mostly due to actor Jamie Farr wearing their hat during the run of the TV show M*A*S*H. They are also one of the oldest franchises, as pro baseball has been played in Toledo since 1883. The real era of baseball began in 1896, however, with the Toledo Swamp Angels who played in the Interstate League. The team played a Bay View Park, which was located near marshland which was inhabited by American Coots, also known as ‘mud hens’. The local press soon dubbed the team the Mud Hens, and the name has basically stuck though out the last 100 plus years. 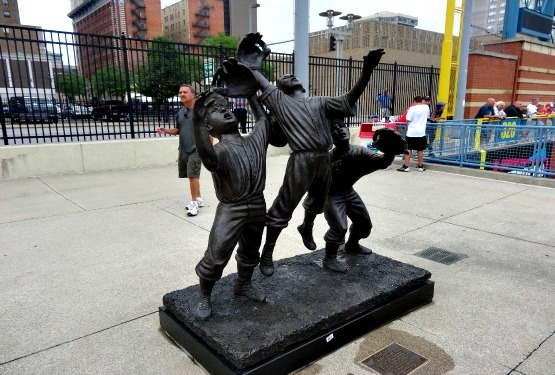 Toledo was also known for possibly hosting the first African-American to play in the major leagues. On May 1, 1884, Moses Fleetwood Walker suited up for the Toledo Blue Stockings, who were a member of the major league American Association at the time. 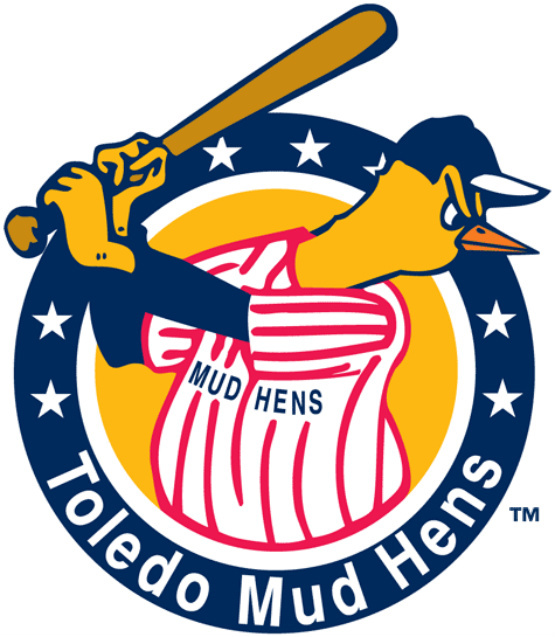 The Mud Hens played in the minor league American Association for many years (1902-1962), and then until the league folded after the 1997 season. 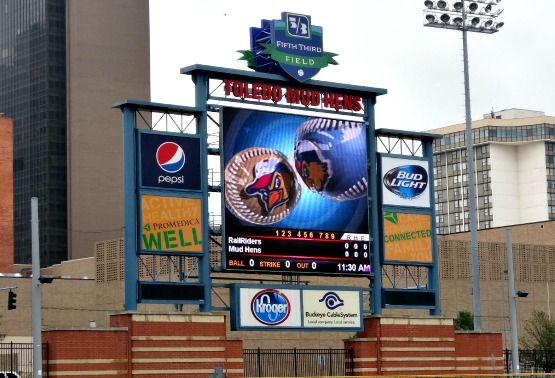 The Mud Hens then joined the International League, playing in it’s West Division. They have won the Governor’s Cup (IL Champions) on three occasions in 1967, 2005, and 2006. 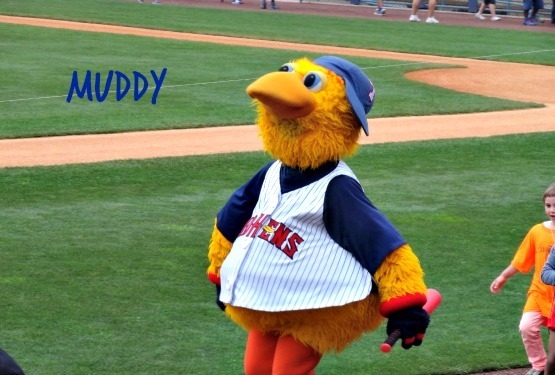 The team has two mascots, Muddy the male Mud Hen, and Muddona, the female. MiLB.com: One of the big things coming into this season for you was the move to the outfield. How did you approach the position switch? Castellanos: I think I approached it pretty well. They were trying to find a spot for me in the lineup with Prince [Fielder] signing and Miguel [Cabrera] moving over to third. I know I’m not going to be playing third base as long as Miguel is in the organization, so when they approached me to make the move, I knew it was just about trying to find a spot for me, and that was easy to take. 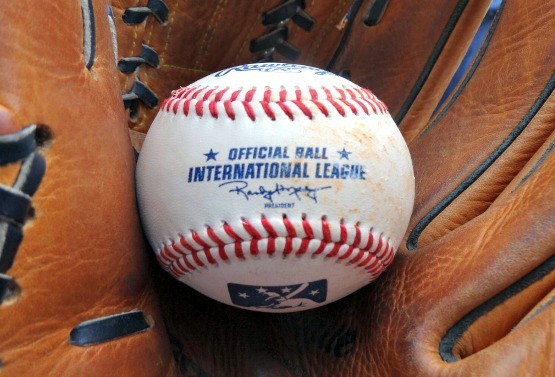 It’s going to be my best path to the big leagues right now, and that’s a good thing. I do miss third base, though. Eventually at some point, I’d love to go back. 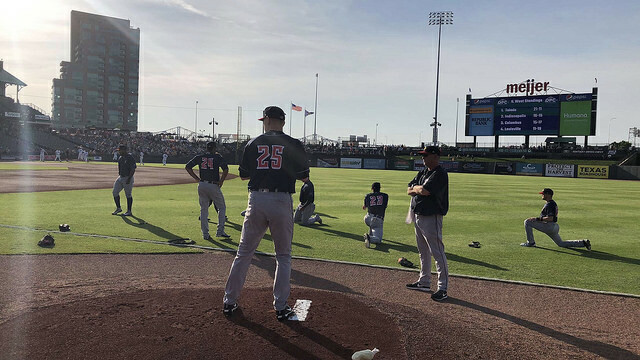 MiLB.com: How long did it take to you get to comfortable out there in left field? Castellanos: It was difficult at the beginning, to be honest. I had never played outfield in my life before that. It’s not like I was trying to learn shortstop again, like I did in high school, or making a move over to second. I had never done that in my life, so it was a different feeling out there. I felt uncomfortable at the beginning, with the game being so far away. 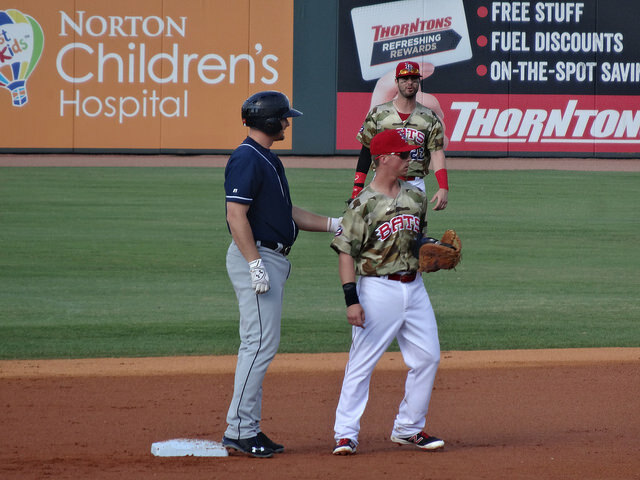 But I have to give credit to our outfield coordinator, Gene Roof. He spent all day and all night with me trying to get everything down, and I feel much better out there. MiLB.com: Another part of the transition was the move up to Triple-A Toledo. What was that like? Castellanos: I had to mature a lot more up there, that’s for sure. You’re facing great pitchers, day in and day out. In Triple-A ball, every guy you’re facing has their approach down and knows exactly what they’ll do with you when you come up to the plate. Plus, the bullpens in Triple-A are just day-and-night better than the ones you’re facing at the lower levels. You just have to get a feel for some of the flamethrowers, make adjustments like anywhere else and be prepared for what you’ll see. MiLB.com: That being said, you were able to handle Triple-A pitching fairly well. Why was that? Castellanos: I think that just goes to my confidence at the plate. All I need are at-bats and a little bit of time, and things usually get around to where they need to be. MiLB.com: Where does that confidence and your general hitting prowess come from? Castellanos: Most of it is that I’m always working on hitting. I’ve been hitting all the time since I was little, since I started playing really. I’m always trying to learn about the game I love, and the only way I can do that is to keep working hard at it. With that, whether I’m 0-for-4 or 4-for-4 on a given day, I’m still having fun at the plate because I like it so much up there. That amount of fun contributes to my success a little. I don’t mind putting work in because I enjoy it that much. MiLB.com: Because of that hitting ability, you were able to get a callup to the Tigers in September during their playoff run. Describe that experience. Castellanos: Just because who I am, I wish I got to play more when I was there, but they were competing to finish first in the division and stuff, so that happens. I got to start four games, and I was pretty happy with the way I hit when I did start. But for me, playing off the bench is difficult, you know? When I come to the park, I’m ready to go and want to get out there. I got some pinch-hit at-bats in the seventh inning or later, so that was something I had to get used to — preparing starting in the sixth, being on call, stuff like that. But above all, it was about getting used to the Major League life — the plane rides, what time to get to the field, what to do in the pregame. It was a good learning experience for that stuff. MiLB.com: One of the things about joining that Tigers team, too, is that it’s a squad that is heavy with veterans. Was there anyone you sought out in particular? Castellanos: First, everybody in that locker room is such a great guy. It’s easy to come into as a rookie because of that. But one guy that’s super-knowledgeable and just a super guy overall is Torii [Hunter]. He makes himself so open and so approachabl,e not only to the veterans but to the rookies like myself, too, and that’s a big help. MiLB.com: What did you talk to him about specifically? Castellanos: Above all, they were mostly outfield questions. I’d watch him out there and then try to pick his brain about why did he go after a ball here and why did he go that way there. The thing about Torii is that he picks up pitches so well. So if I saw him do something that I wouldn’t have seen otherwise, I tried to talk to him about it. Overall, he just makes the game fun. He’s been in the game for 17, going on 18 years, so it’s great he can share stuff with me. MiLB.com: Besides Hunter, it must have been interesting to play with Miguel Cabrera, not only because of who he is, but because you’re a guy from the Miami area. Castellanos: It is pretty wild. In ’03, I watched the World Series with him in it, and I was actually there when he went “oppo” against Clemens after he threw at him. I was idolizing Cabrera when I was little, and then the first run I scored in the Majors was driven in by Miguel. It’s cool how everything comes full circle like that. Being 10, 11 and watching him play and now I’m with him on the field. Beyond that too, Alex Fernandez — my coach in high school — won a World Series with Jim Leyland, and I played under him too. Just cool how that all happens. MiLB.com: Speaking of Leyland, you got to play under him right before he retired. What was that like? Castellanos: Leyland is very professional in everything he does. From a player’s perspective, he’s fun to watch and has been doing it for so long. I think someone said that he’s filled out something like 4,800 lineup cards in his career. Anyone with that much experience in baseball, you know you have to listen and respect what they do. I feel like I know so much about baseball already. But compared to Leyland, and beyond that, [bench coach Gene] Lamont and [former hitting coach and recently named Mariners manager Lloyd] McClendon? I don’t know anything. All I can do is watch them, learn and see how Jim would manage a game, even if that meant sitting there thinking, “Why would he do this?” Being around him, I was able to just add a lot of knowledge that wasn’t there. 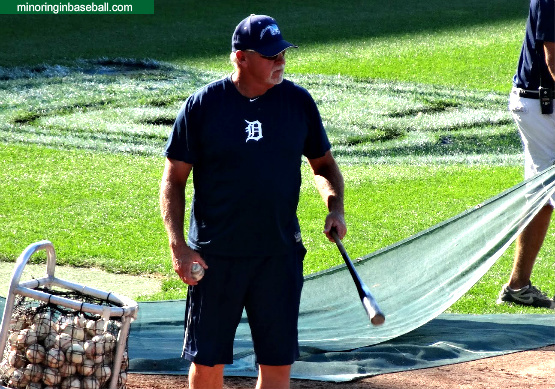 MiLB.com: Leyland’s also known in baseball circles as a fairly colorful character. Got any good Leyland stories? Castellanos: The biggest thing that comes to mind is one day [Sept. 4] we got beat pretty bad by the Red Sox. It was the day [David] Ortiz got his 2,000th hit, and we lost by a lot [20-4]. I went into the clubhouse thinking, “Man, if we’re in Toledo right now, we’re going to get chewed out.” And then he walks in and just says, “Well, tomorrow’s a great day for an off-day, huh?” And that was it. It was really loose and easy, and it was his way of telling us to pick up our heads and keep on pushing through because there were a lot of other big games coming up. MiLB.com: After those big games were through, the Tigers moved onto the playoffs, but you were left off the postseason roster. How did you handle that? Castellanos: It was pretty nerve-racking, knowing I couldn’t help or contribute in any way. All I could do is watch from my living room in Miami. There were even a couple of times I had to turn off the TV because I couldn’t watch anymore. MiLB.com: Many see you as likely to be on the big league roster come Opening Day. How do you approach the offseason with that in mind? Castellanos: Pretty much like any other offseason really. I don’t want to put any added pressure on myself. I just have to work hard and be ready come spring, just like I always have. 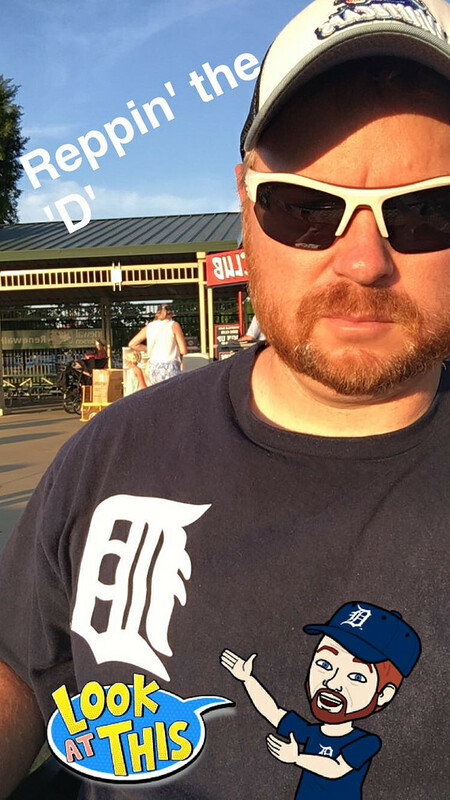 MiLB.com: If it does come down to it, that you are the starting left fielder for the Tigers on Opening Day, how ready do you feel for that opportunity? Castellanos: Oh, 100 percent. With the instruction I’ve gotten from the people that have helped me in the outfield, I know I’m ready. I know I can help the team right now. It’s tremendously exciting to think about. Any time you play in the big leagues is a great opportunity, and I’m ready to do that every day. 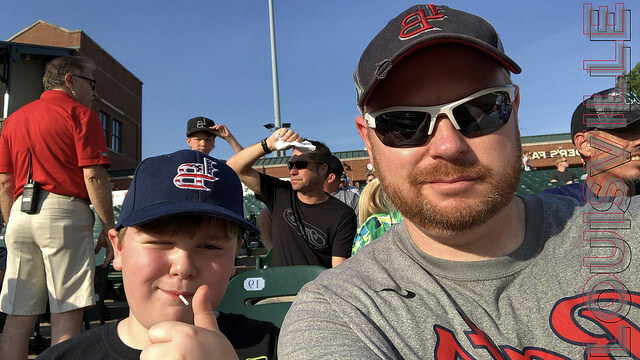 MiLB.com: With all this being said, probably the biggest thing to happen to you this year was the birth of your first child. 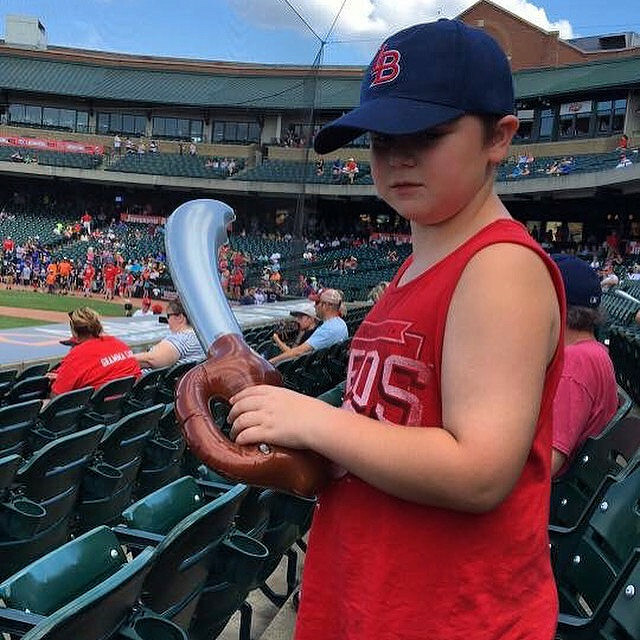 Does Liam have a bat in his hand yet? Castellanos: No, he’s only three months so he hasn’t touched anything yet, but he does have a couple of gloves and a couple of bats with his name on them already. When he was born, that was better than the big leagues. My Major League debut was on Sept. 1, and my son was born Aug. 1. I was there when he was born, but on the morning of Aug. 3, I had fly back to Toledo and didn’t get to see him again until Sept. 1. 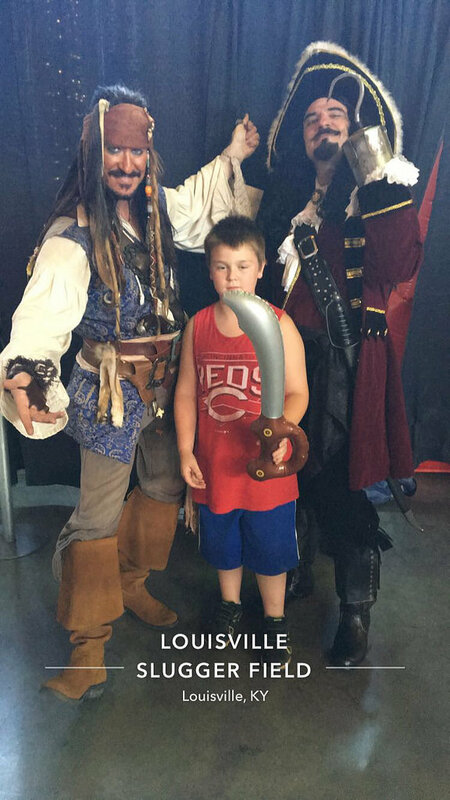 When I did get that callup, all the reporters were asking me, “How did you feel about your Major League debut?” What I really wanted to say was I just want to spend time with my son. It definitely puts your perspective on an 0-for-4 day, I’ll tell you that. Whether I’m 0-for-4 or 4-for-4, I still have a beautiful, healthy son that I care a lot about. To strike out with the bases loaded or make an error in the field, it doesn’t mean so much anymore. 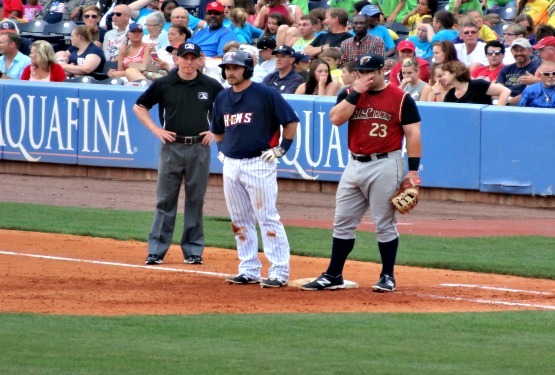 For the second season in a row, the West Michigan Whitecaps are left without a manager. Unlike last season, however, this change comes with a promotion. 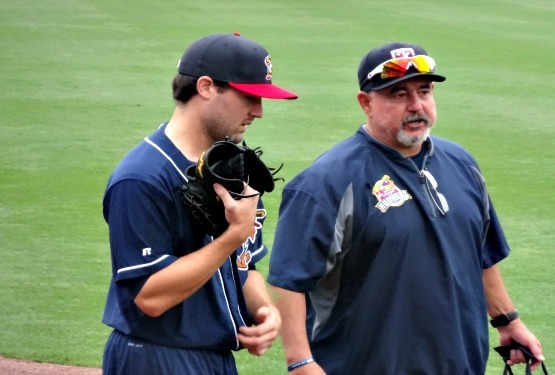 Larry Parrish (pictured), who led the ‘Caps to a 69-70 finish in the Midwest League, has been promoted to helm the Toledo Mud Hens in 2014. This isn’t his first experience with Detroit’s Triple-A affiliate, as he managed Toledo in 1994 and from 2003-2010. 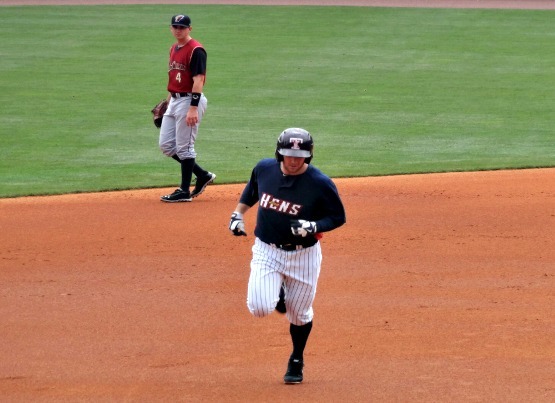 Under Parrish, the Mud Hens won back to back Governor’s Cup (International League) championships in 2005 and 2006. Parrish has won more games for Toledo than any other manager at 569. It looks like three times a charm for him, as he has some great support from the parent club Tigers, as well as the Hens. This is a good move by the Tigers’ organization, and a deserved promotion for Parrish, as he’s already in the International League Hall of Fame. 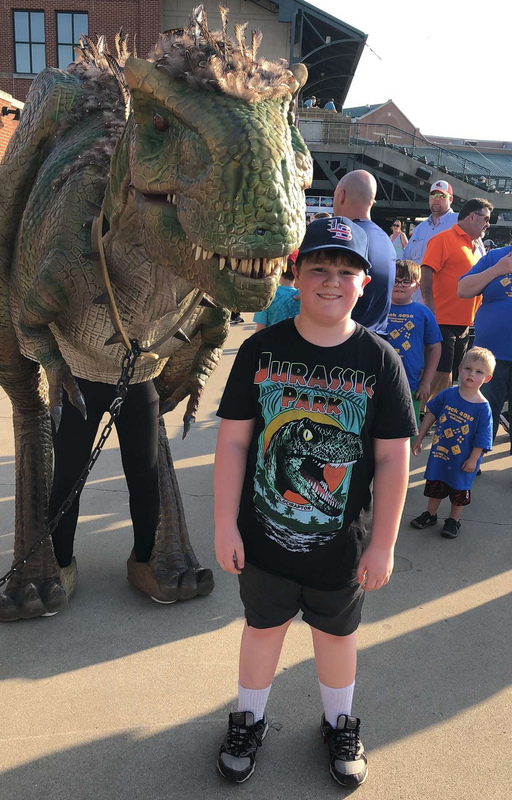 We already have a couple of dates circled on the calendar for season to watch the Mud Hens, so we’ll be seeing him again soon. Now…what about the Whitecaps? 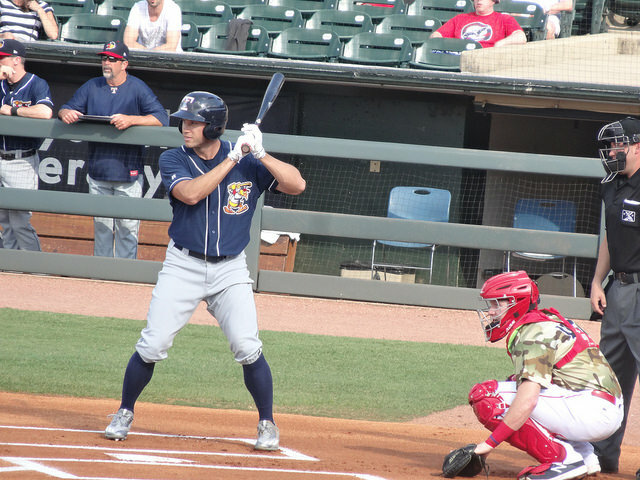 The Single-A affiliate is once again in need of a skipper, and it will be interesting to see who the Tigers will assign. 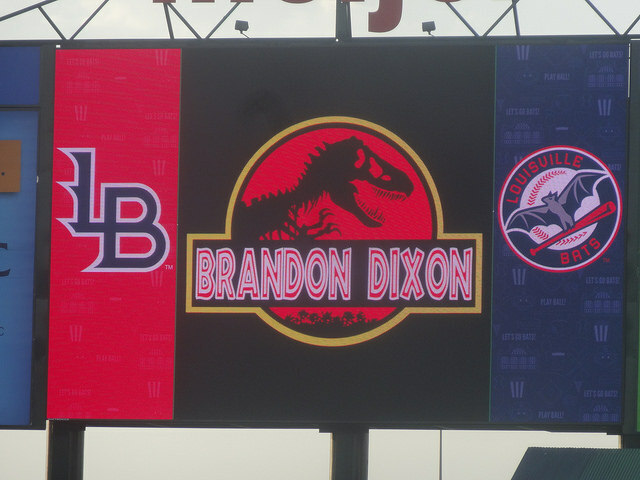 I’ve written in the past how I think that Brandon Inge would be a good fit in West Michigan. The Tigers’ have basically stated that they’d like him back in the organization once his playing days are done, and Inge always said positive things about the ‘Caps. We’ll see if he retires at the end of the season, though, and if he shows interest in coaching. Jarecki aslo stated the Tigers should name the ‘Caps new manager sometime in early October, so the safer bet may be seeing the promotion of Connecticut Tigers manager Andrew Graham. He has been at the helm of the C-Tigers for the last three seasons, and before that coached the Gulf Coast League Tigers from 2009-2010. 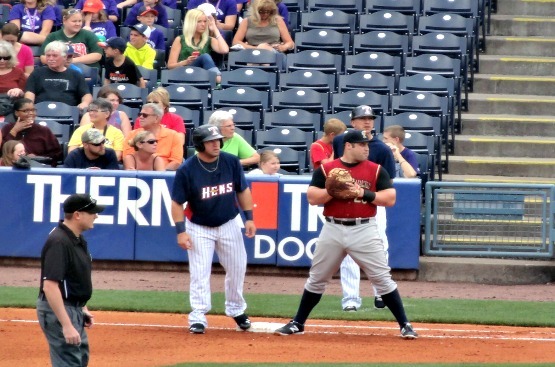 He also served as the Tigers minor league catching coordinator during the 2010 season. 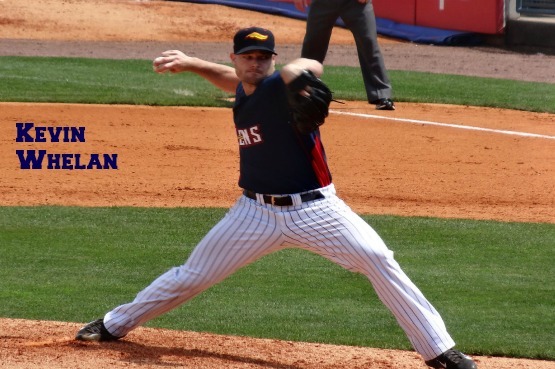 This season, Graham led Connecticut to a 33-42 finish, good for third place in the New York-Penn League‘s Stedler Division. He is also a Tigers product, getting drafted by Detroit in 2003, and was a catcher in the organization from 2003-2008. A native of Sydney, Australia, Graham also played in the World Baseball Classic in 2006 and 2009. I’ll be keeping a close eye on who gets the West Michigan job. The Whitecaps have missed the playoffs the last three season, so whoever is chosen I hope they can break that streak in 2014. 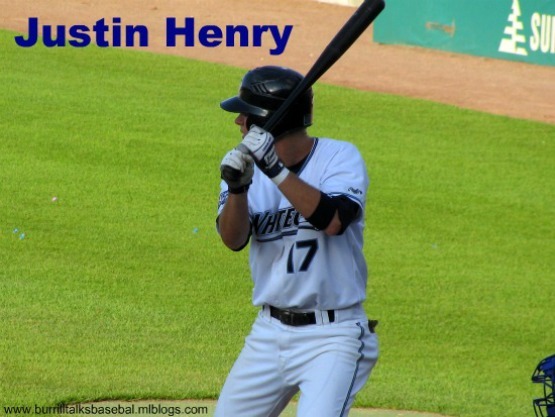 Former West Michigan Whitecaps second baseman, and current Toledo Mud Hens outfielder Justin Henry has been named the International League’s ‘Batter of the Week’ for August 20-26. 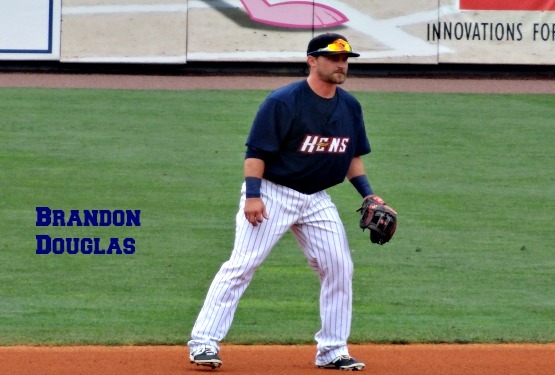 Hitting in the lead-off position for the Mud Hens, Henry had 14 hits last week with a .538 batting average. 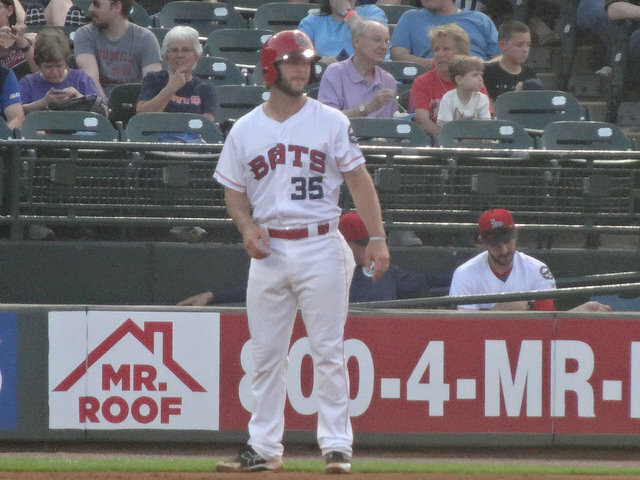 He collected hits in five different games in a Toledo five-game win streak. Henry had three consecutive three-hit games during his hot streak, with four games with at least one run scored. 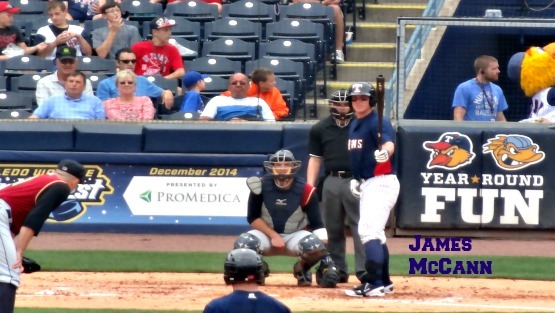 He was second in the IL with a .581 on-base percentage after collecting four walks, and adding a pair of stolen bases. Justin is now third in the IL with 135 hits this season. 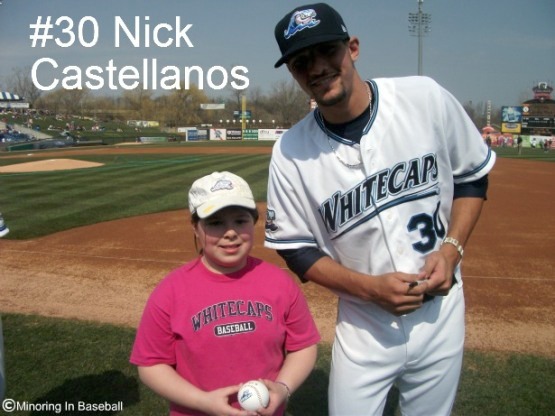 While with the Whitecaps in 2008, he hit .295 with 24 doubles and one home run. Henry was selected by the Detroit Tigers in the ninth round of the 2007 draft. I’m not sure why the Tigers would turn him into an outfielder, with so many in the system, and not having too many infielders. I’d like to see Justin get the call this weekend, but my gut feeling is that Detroit will go with Avisail Garcia from Erie. All the best to him, though!